New device uses very sensitive microphones to listen to the TMJ & determine if path-ology is present. It is called Joint Vibration Analysis. It costs $30 for this test in our office. Beautiful natural-looking fillings are now possible with 3M’s Filtec Supreme™. This composite exhibits remarkable wear resistance and very natural appearance. 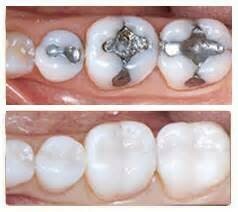 They cost $120 - $225 using our in-office dental plan. Our Digital X-ray machine uses 1/3 the radiation dose of a film-based machine. Eliminates having to bite on uncomfortable sensors & film. We’ll give you a copy of your X-rays FREE to use to compare our fees with other offices. 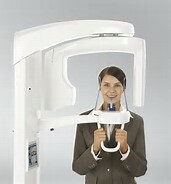 It costs $60 for Panoramic X-ray, but is included free with the initial cleaning, exam and X-ray special we have going on now.